Apart from a couple of spring buds, there are still no signs of this long winter ending. 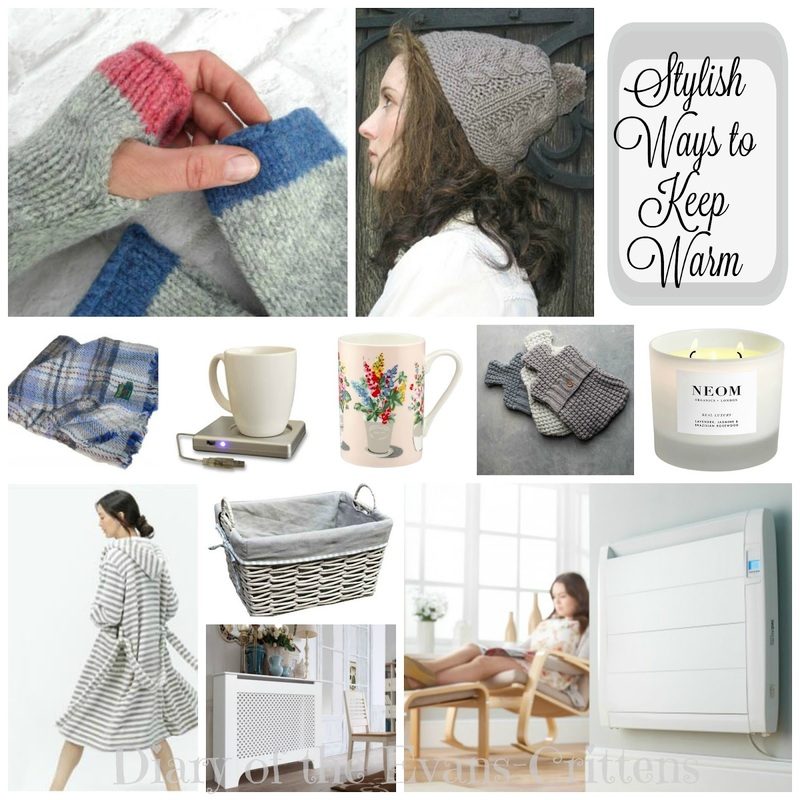 During the recent Storm Imogen, my mind has been focused on keeping warm, dry and cosy. This normally results in me channelling Compo from Last of the Summer Wine (not my intended look), wearing any old bobble hat and grabbing an old blanket or sleeping bag for warmth, but with a little more thought we can keep warm stylishly. Pure Wool Fingerless Gloves keep your hands warm and also allow you to write, type, work and carry on with your daily activities. I love these gloves in grey and mustard too. This Handmade Cable Cat in Merino Wool will keep your head warm and cosy. I love grey knits at the moment (I must buy grey yarn!). All Stella James knits are handmade, organic, luxurious and functional. I love Recycled Wool Welsh Blankets. This will keep you warm in winter and makes a perfect picnic blanket in the warmer months. USB Cup Warmer‘s are so handy- plug into your laptop and keep your hot mug of tea warmer for longer. I can never have too many pretty Cath Kidston mugs. I love the colours on this Flower Pots Grace Mug and it will keep you warm as you sip your hot drink. More “yarn love”- this Hot Water Bottle Cover looks so soft and cosy. I love getting into a warm bed. While candles don’t actually keep you warm, I’m sure they have a placebo effect. Neom Real Luxury 3 Wick Candle‘s add a hint of hygge to the room, are beautifully scented and can be therapeutic. During winter, dressing gowns are not just for bedtime, they are an extra layer of insulation. The Joules Rita Stripe Robe in Grey is so soft and comfortable and extra cosy with the hood up. I regularly wear mine over clothes in the day! This Purity Grey Basket can be used to store your rolled up blankets stylishly. If your radiators aren’t to your taste use a classic Richmond Medium White Painted Radiator Cover. This also means you get an extra display shelf in the home. 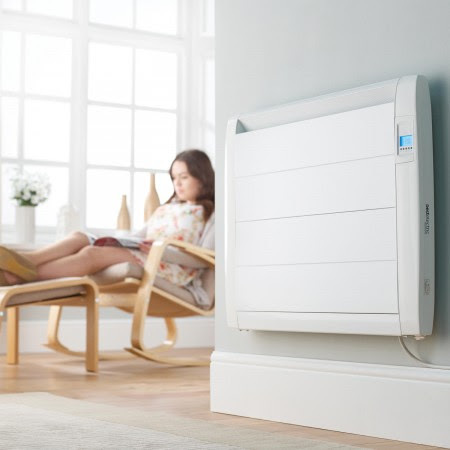 If choosing new heating for the home then consider a stylish Slimline Digital Electric Radiator from Best Electric Radiators. You can see more of their range here.